Dad has only a primary education. Without a stable job, it is difficult to feed a large family. We have already pawned whatever that can be pawned. We were close to living in poverty. Finally, Grandma let out the front portion of #188 to a couple who turned it into a mahjong parlor. 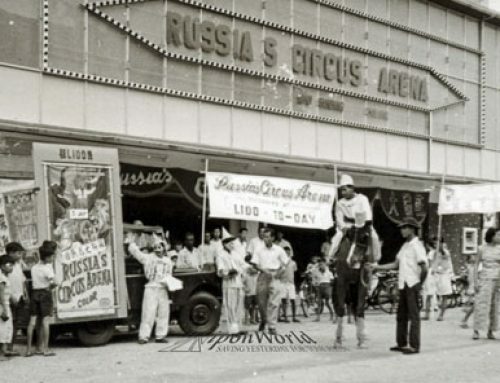 Many whores, massage ladies, bargirls, pimps, hawkers, taxi drivers and housewives came in for several rounds. It became a very noisy place, sometimes extending into the wee small hours. Many times fights broke out and the police were called in to break them up. What was once a home to us suddenly became a vice den filled with cigarette smoke and vulgar languages. Sometimes we could not even hear our own voice with all the noises around us. We kept to ourselves, spending our time mostly upstairs but it was already filled to the brim with tenants. There is hardly any space left for us to study in. This was the last straw for Dad. In a fit, he kicked all the mahjong players out and took back the shop for us to study in peace. 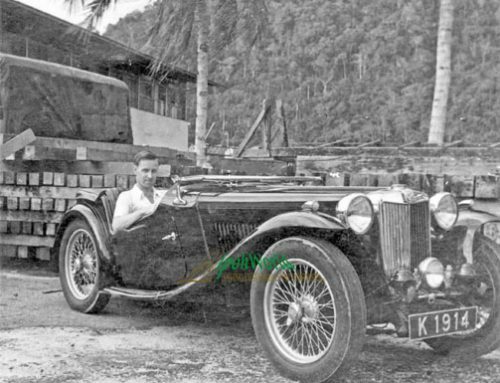 In his early days, Dad was trained in a mechanical work shop in Batu Gajah before the Japanese invasion interrupted his apprenticeship. He quickly got hold of some motor parts and assembled them into something you see in these pictures. I really do not know what to call it. There is no name for it. We simply called it “the motor”. It was this device that gave our family hopes again. More importantly, it put food on our table and saw all of us through school. You see, with this device, Dad started another business. 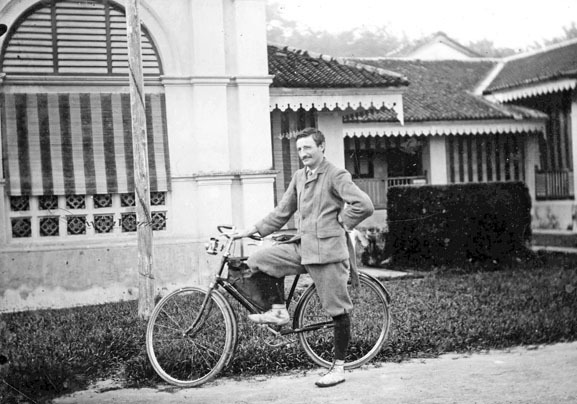 He cycled to all the tailor shops, hair salons and garment factories in Ipoh town, offering to sharpen their scissors. In the beginning, business was quite scarce. Nobody would trust him with their cutting tools. After all, he was just a new kid on the block in this trade. There were some established ones in town. There is one at Cockman Street, next to the shop that sells joss sticks and paper offerings. Others operated along back alleys in the old town area, doing their business long before my Dad appeared in the picture. However, with patience and skill, he soon won them over. Before long, they discovered that the sharpness lasts longer compared to those done by others. Moreover, Dad charged the same like the rest, RM1 for a pair. Within 2 years, he managed to build a base of regular customers. He even painted his own signboard and put it in front of the shop every morning before he started work. I remembered it was a big scissors with a light blue background. The blades were painted in silver while the handles were in black. It was just a picture, without words. 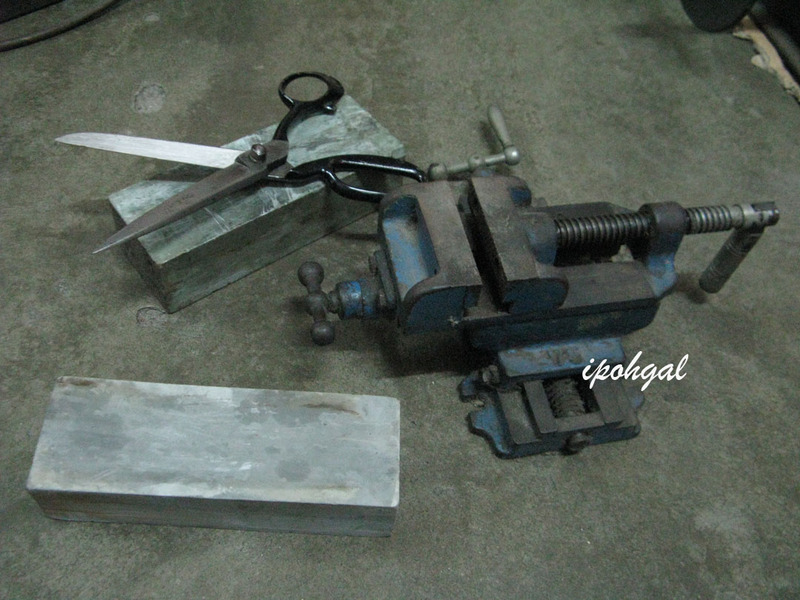 Dad used sharpening stones or whetstones to sharpen the scissors. Some came in the shape of a small circular wheel which was fixed to the motor. Others were simply blocks of rough or smooth stones. They were used separately or in combination, depending on the size, length and quality of the scissors. Normally the bigger, longer and superior blades were sharpened using the motor while the smaller, shorter and inferior ones were done by hand only, to prevent them from breaking. Yes, the blades can break under intense pressure! I have seen this before and in the end, Dad has to compensate his customer with a new pair of scissors. To sharpen a pair of scissors, Dad unscrewed the bolt and nut to separate the two blades. Dipping the scissors and sharpening stone into a pail of water to make them wet, he would slide the beveled edge on one side of each blade against the stone. He has to slide the entire length of the blade many times before the scissors is sharp enough to be oiled and screwed back. Sometimes it took 2 or 3 hours to sharpen one and sometimes, in less than half an hour, depending on the scissors. He also sharpened kitchen knives and all kinds of cutting tools. It was hard work. It was a one man show. With so many scissors to be sharpen and everyone wanted it done quickly, Dad has to work from morning till night, standing on his feet. He could not get the work done sitting down because, to slide the blade, he needed to use force. Therefore, his feet would get swollen by the end of the day. His hands numbed and his back pained by the many hours of bending over the work table. Sometimes he accidentally cut his fingers and bled. With a bandaged hand, he continued with the work because he has datelines to meet and many mouths to feed. Many customers told Dad he was the best scissors sharpener in town. They wanted him to sharpen their scissors in the quickest possible time. Of course Dad could not meet their demands because he has so many scissors waiting for him to sharpen. It is piling up by the day. “If you wanted it to be sharpen quickly, then please go to other scissors sharpener. Here, you have to wait longer as you can see the pile of scissors and I am doing the work alone!” he could AFFORD TO SCOLD his customers. Many were fearful of him but they loved his skill. In the end, they meekly gave in and left their cutting tools with Dad. Many bought extra scissors to use while waiting for Dad to sharpen theirs. They preferred to wait for several days rather than go elsewhere. They knew they left their tools in good hands. 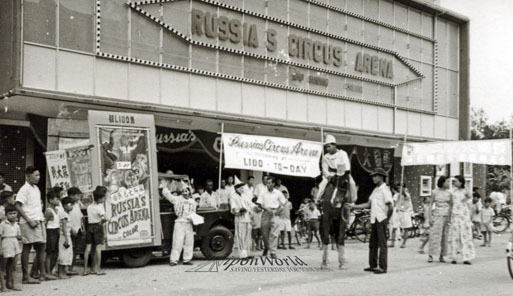 Throughout all the years, no customers complained about Dad’s work, except that he was rather fierce when pressured! When I was in Std 6, some foreign tourists past by Dad’s work place which was at the back portion of the shop. They were fascinated to see such a trade done in a traditional manner and decided to video and photograph him as he goes about doing his work. Many people in the neighborhood called Dad “Scissors Sharpener Uncle” and Mom “Scissors Sharpener Aunty”. When I took taxis in front of Rex Cinema, many taxi drivers who knew Mom and Dad even called me “Scissors Sharpener Daughter”!! LOL. Dad toiled on until all his children finished school and were able to stand on their own. By then he was old and haggard, having slogged most of his life. As a result of working too hard, it put a toll on his health. 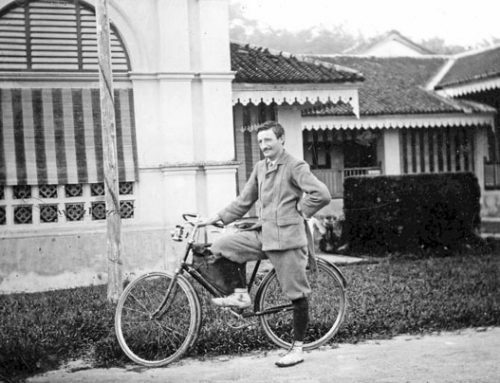 His heart became weak, his hands stiff with arthritis and his legs from rheumatism. Dad retired in 1996 after 25 years in this business. He spent the remaining years nursing his health and staying home resting after working hard most of his life. This article is a tribute to Dad, a very determined man who believed in nothing and no one, except his own pair of hands and who overcame all odds that life threw into his path, without any help from anyone. I am very proud of him. 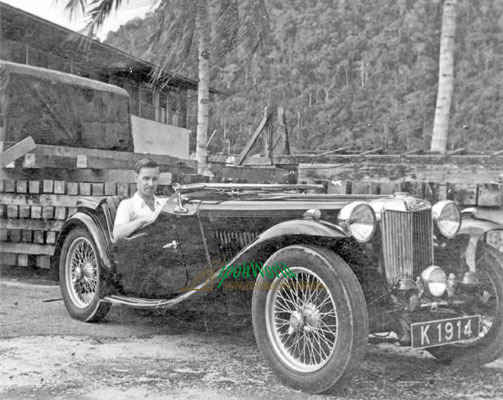 I am still keeping this motor with me as a remembrance of Dad who was once a very skillful scissors sharpener in Ipoh. It is a waste that his hand painted signboard became rusty after 25 years and he threw it away when he finally called it a day. But he gave me a pair of scissors and a few whetstones to keep as well. By the way, the motor is exactly that, a motor, the circular thingy at the end is called a grinding wheel. Overall the whole thing may be called a grinder. 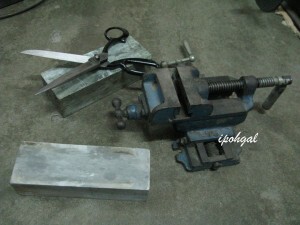 The heavy thing in the bottom picture is a table mounted clamp, also called a vise. Whatever names they are called, in the end they spell “love” from a father to his family. Hi ipohgal, you got the title wrong – for your Dad is certainly not forgotten – by you, Aaron or my wife, or, no doubt, hundreds more who will also remember him. 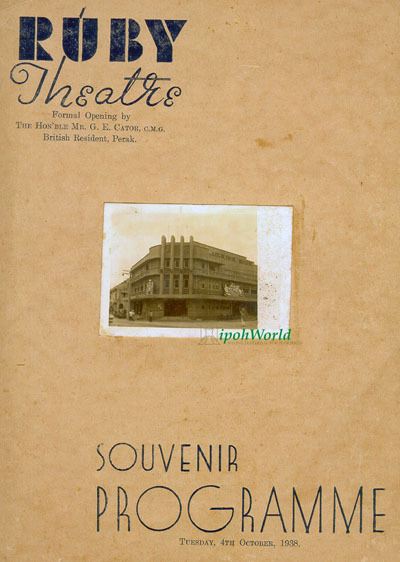 In fact, when we were starting ipohWorld, your Dad was one of the stories that my wife told me about and fired up my ambition to get the history of Ipoh written down. Ipohgal, your dad is great! He was really greatman,since he had the ability to form a small-skill machine from some motor parts. Moreover this machine can work. What should we call your father ? As for me, he was one of the inventors of the century. Well,as far as I see,are there 2 of them ? And both of them work independently ? These machines can also be considered the inventions in 21st century. Not joking,he should have patent it.This ccould have make Ipoh and as well as Malaysia proud. Is these machines still functioning ? 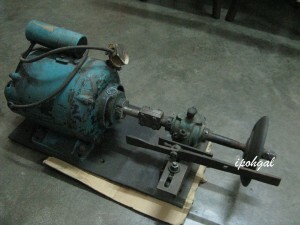 Ipohgal, besides we may call your father “moh kau jin lou” in Cantonese or “scissor sharpener” in english.He was still considered an inventor of that time, regardless great or small invention he has make. Since these machines can be used in commercial way, he should have patent them.Sadly that in our region, hardly inventors patent what they have made. Haaaaa…he was a greatman to me though. Someday when I pass by #188 I will tell the story of the scissor sharpener to my two boys so that they will get a history lesson on those ordinary people who work hard and earn an honest living. This is a million times better that those people who have fancy titles, misappropriate public money to go on overseas trips or to buy a mansion and in the end pretend everything is ok. In the end its better to be a poor but honest and responsible hardworking person than to use high position to steal people’s money. If your dad is still alive and if you field him in a parliament seat, I’d vote for him 101%. That’s what I look for in a PM. Honesty, integrity, rock solid independence. Those are qualities you rarely find in a ruling politician. your daddy in our society. Thank you for the lesson. 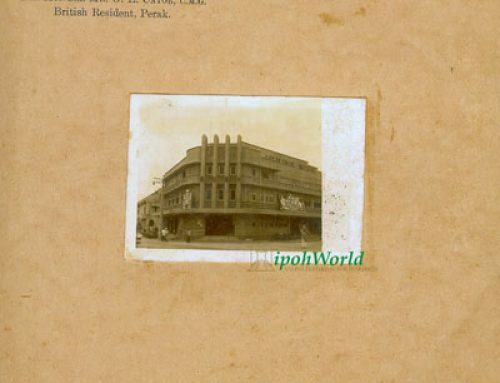 ipohgal.This was in the U.K.(where I was born)in English a person who makes Knives etc… is called a Cutler(Hence the term Cutlery)whether this title extends to one who sharpens Cutlery,I can’t say. I think IG’s dad may rightfully be considered as a cutler though that term is quite rare in use and I bet even in English speaking countries. Well IG, If you need to fill up the occupation section for your dad, I seriously think that cutler (or cutler mechanic, maybe)can be used. I believe even now there are not many cutlers in town. I have heard of the term cutlery (from root word “cut”) but have no idea that a cutler is a person making/repairing knives until today till you mentioned it. I think we all learnt something new today. I am glad we have finally found the correct term to call my dad, thanks to Jim and Aaron, although a few decades late! My teachers would also learn a new word if they were still around. And I would not have such a difficult time filling up forms regarding dad’s occupation! in my area,Pudu, I still can find 2 to 3 persons with such skill. Mormally their shop situated near the backlane.If not mistaken, maybe to cut down the shop rental. Hi riversidegrass, really? Exactly which part of Pudu area? Is it near the Pasar Besar area where you can still find many traditional trades? How about Chinatown area in Petaling Street? One of these days when I am free, will give these areas a visit to find out and see for myself how they do it. Wonder if they are doing it differently from my dad or perhaps the same way too. Man with skill will live on. Man without skill will die off. That’s the circle of life as a father. Your father was among the hardwork asian men. It’s the fathers’ resposibility to raise the family. Agree it or not it’s up to personal. Yes I know. Part of my work is in Occupational Safety & Health. Stiff joints, arthritis etc. are a result of poor ergonomics at work. Yesterday, I tried to have a pair of my old scissors done at a price of RM 27.00 with some extra touch up. The finishing is quite satisfied. Well , I have left it untouched for a few years, haaa….It can cut again. By the how much did it cost , at you father time ? Yes, I got it done in Pudu area, KL. I think this is a reasonable price for it,I bought it about RM 130.00 two years back.He,the scissors sharpener actually has spent a few hours to get it done.Worth it, I think. Nowadays, this type of profession “Moh Kau Jin”, can “cari makan”, not like those day, no one appreciate. Todays we talk about workmanship, so they know how to charge accordingly. 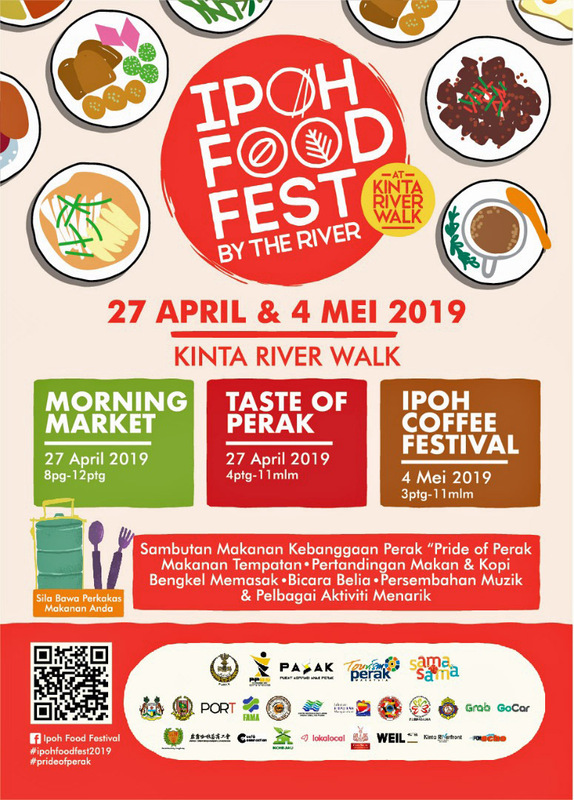 Do you know how much do they charge in Ipoh ? 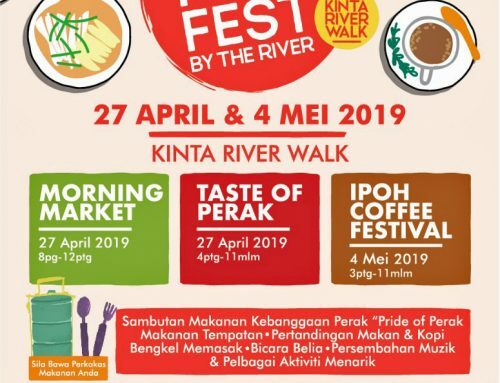 Good price in Ipoh ? or anyone can tell ? hahaha…..your dad must have had REALLY sharp eyes, Ipohgal! another nice read from you. thanks for sharing with us. Thanks anyway, Ipohgal.I agreed with your theory. But, I have read from internet sometime ago, we can sharpen our scissors by cutting aluminium foil layer which from Milo tin too.Do you know the layer of aluminium foil , on a every new can before it open ? I think there must be a reason lie on it. Is this way ok too ? 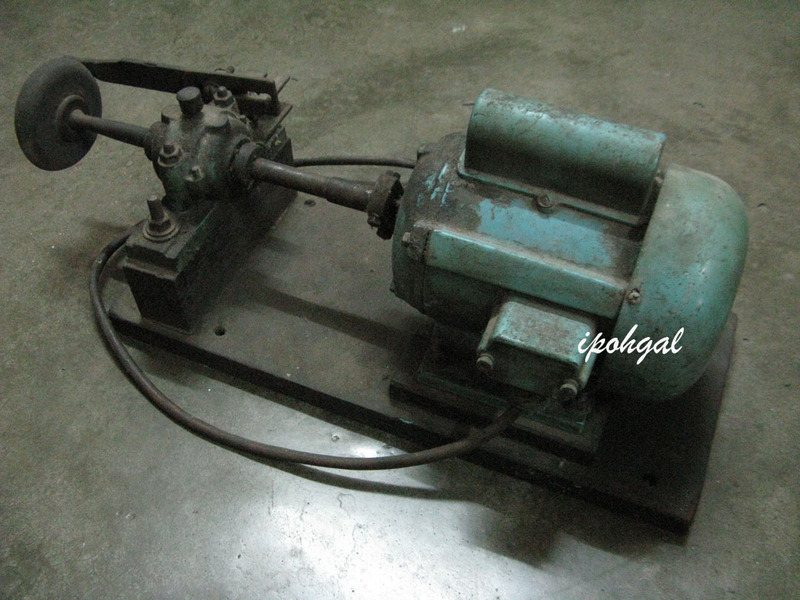 From the pictures shown above, the two motors are considered product of Ipoh, PeraK.Whether they are still functionable or not, they still can be considered invention of the past.Can anyone suggest a name for these two self-made or home-made machines ? Keep them flooding you two as these are exactly the sort of articles I need to put into “Ipoh My Home Town”. Hahaha…. yest the bedak sejuk made by our grandmothers and elders are superb. We do look like “aw wool wool” a comment used when we had the bedak sejuk plaster all over our face in white. Yes we don’t get the pimple problem. Thank IG. for reminder me.